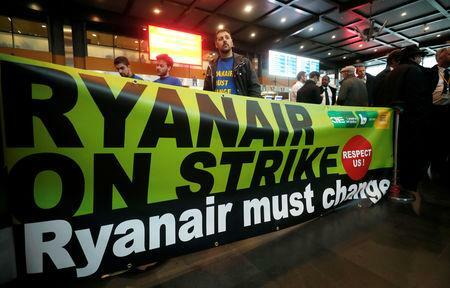 LONDON (Reuters) - Ryanair does not expect strike action from staff this summer but air-traffic control problems are likely to cause significant disruption, the Irish low-cost carrier's marketing chief said on Thursday. Europe's largest budget airline suffered a number of strikes by pilots and cabin crew last year, grounding hundreds of flights across Europe, having agreed to recognise unions for the first time in 2017. While pilot unions in some countries have suspended talks over pay and conditions in protest at the threat of base closures, Kenny Jacobs told journalists he still expects to reach agreement with all the airline's main unions by the end of March, the end of the company's financial year. "We don't see a horizon of unrest," Jacobs said, adding that the industrial relations environment at the airline had improved significantly in recent months. "We don't see a risk of strikes in the summer. That doesn't mean there won't be." "Is it shaping up to be a better or worse summer than last year? 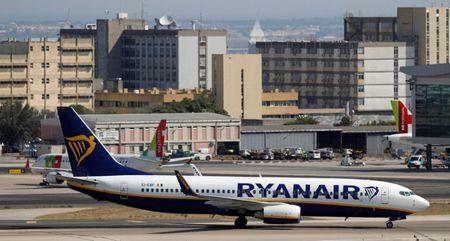 I think worse," he said of delays attributable to industrial action by air-traffic controllers. Ryanair also announced the creation of a frequent-flyer scheme under which the payment of a 199 euros (£175) annual fee will allow customers unlimited free seat allocation, fast-track security access and priority boarding. Asked if Ryanair might be interested in buying assets from Thomas Cook's airline business, which may be put up for sale, Jacobs said Ryanair was not interested in any large-scale acquisitions but could vie for airport slots should they become available.